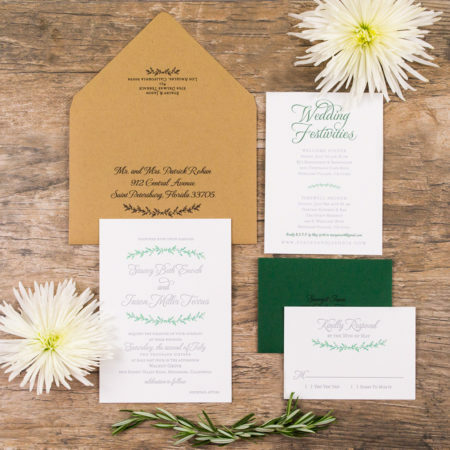 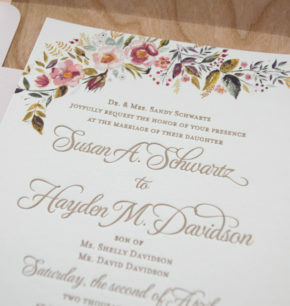 Susan tied the know at The Southern Barn - a beautiful, rustic ranch located in Lithia, Florida - and her vision was to incorporate lots of organic floral elements into her wedding invitations. 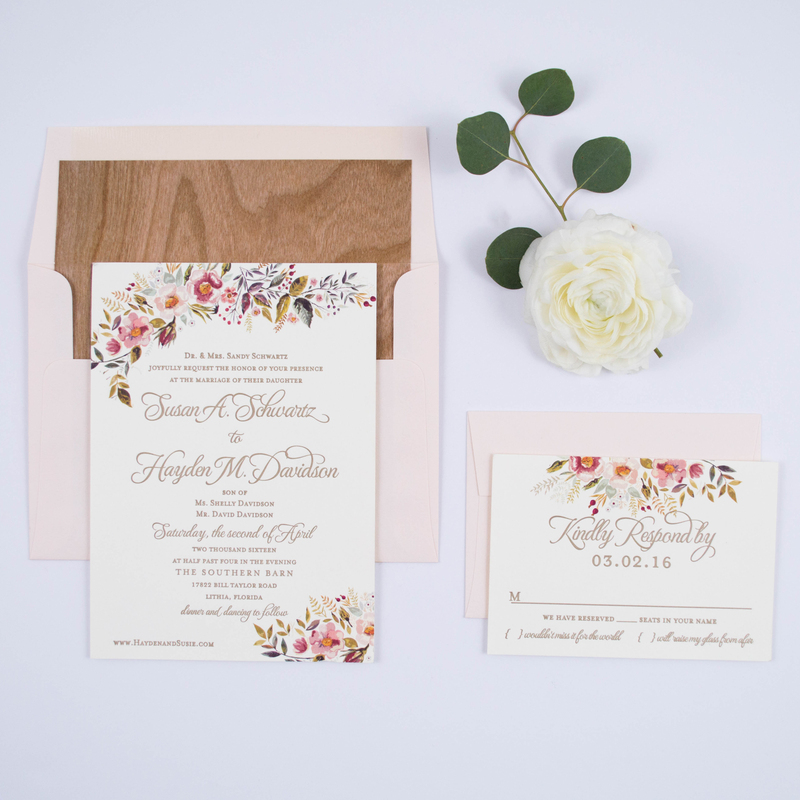 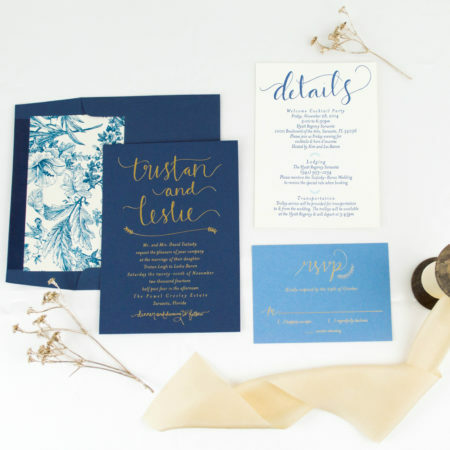 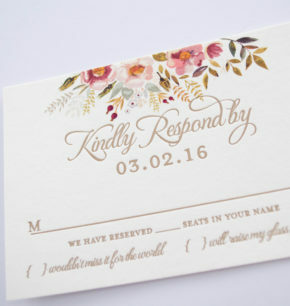 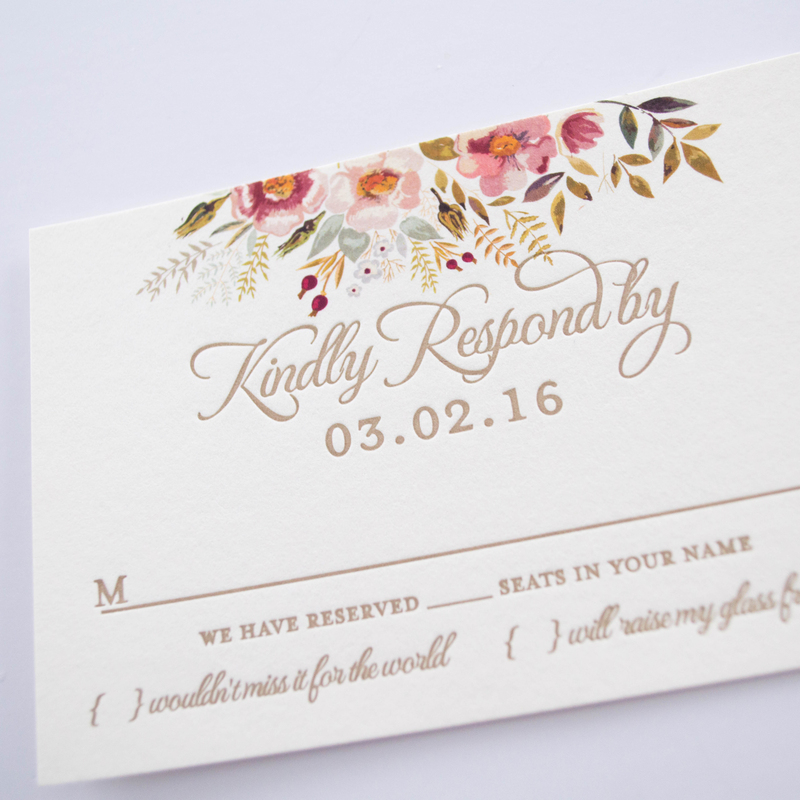 With this in mind, we designed a lush and elegant floral design and letterpress printed the invitations to accentuate the vintage feel. 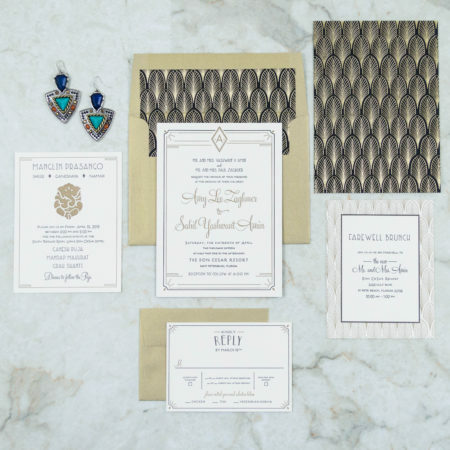 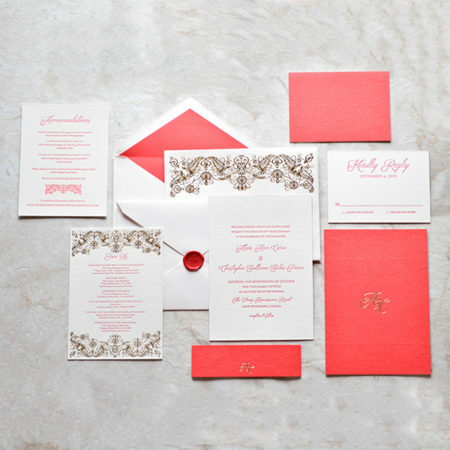 We also incorporated her color scheme (blush) throughout the envelopes, and as a personal touch, we added wood-patterned envelope liners (her fiance loves working with wood).